One of our favorite parts of the Five Oaks Associates home page is the double slide show. It’s neat being able to view multiple projects at once to get more of a feel of the type of work the company has completed. 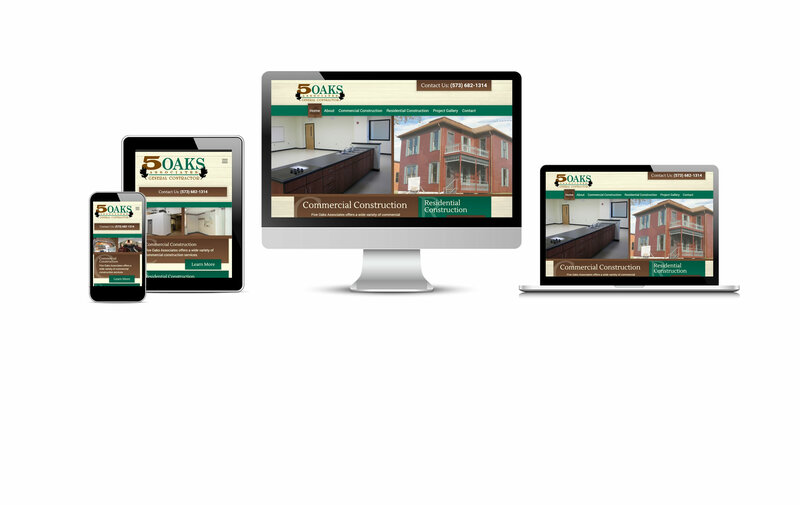 We also really liked the use of the oak tree in the background of the site to match the oak leaves in the Five Oaks Associates logo. Plus, being able to see the tree through the contact form at the bottom of the page is pretty cool!